Telstra is the largest telecommunications, technology and media company in Australia. 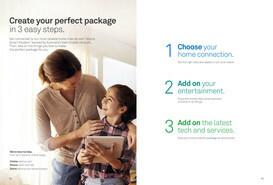 Telstra operates telecommunication networks and markets mobile, voice, pay television, internet access and other entertainment products and services. Shop online at Telstra to browse catalogues and weekly ads for hot deals and special offers. Looking for a new mobile phone? Then look no further! Shop at Telstra for a wide range of handsets from trusted brands like Apple and Samsung. Get your hands on the new i-phone or Samsung Galaxy at terrific prices on affordable plans. Plus, if you’re a student and a member of UNiDAYS, you’ll get $10 off per month on eligible BYO and Handset plans with a few extras thrown in for good measure like movie tickets, free Telstra Air data and even an Apple Music subscription! 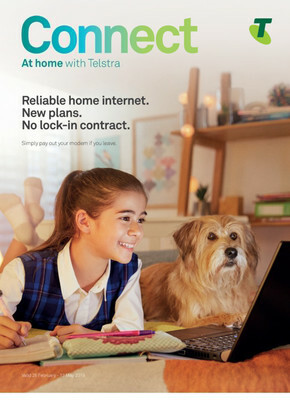 Visit Telstra online at any time of day or night for a variety of services. Pay your latest bill, update your account details, purchase a new handset or chat to someone online instantly with any problems or queries. For more information on store locations, opening times, or to browse the latest flyer, visit Shopfully today or download the app!